I read and enjoyed Ali Smith’s There But For The whilst travelling last Summer, and was recently recommended this as a good book to look at for its impressive evocation of different voices. Which, I suppose, it does. It is about a DISTINCTLY middle class family “whose lives are turned upside down” by the arrival at the house they have rented for the Summer by a “strange, young, woman”. As a premise, it irritated me. 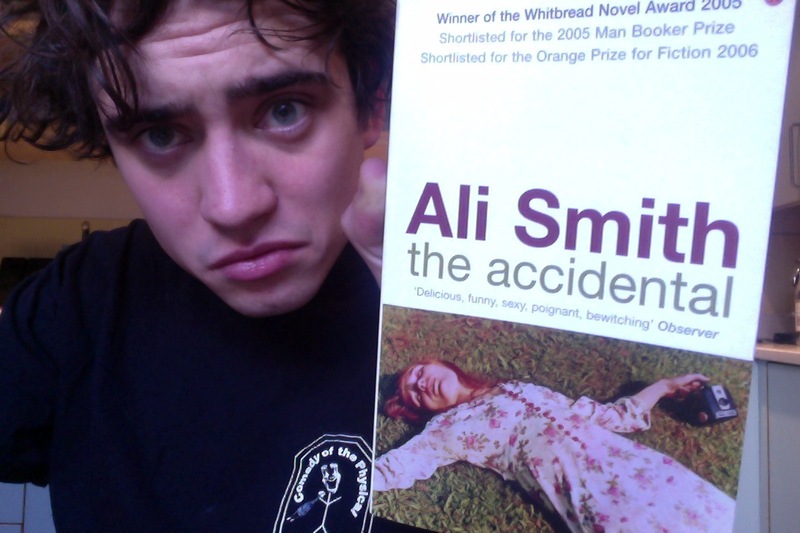 But Smith’s prose is interesting, she plays with form a lot here and she does (to be fair) render into fiction quite impressively the internalised thoughts of man/woman/prepubescent girl/teenage boy. Yes, the writing is good, is strong, is solid. But the “strange young woman” (no commas this time) just CONSTANTLY pissed me off. I didn’t like her and I didn’t understand what she wanted from anyone at any point. And rather than being an ambiguous mystery, I felt her to be of little interest. In fact, I lost all sympathy for her when (at any early point) she destroys a video camera by throwing it into traffic. No, I said to myself. You can’t do that. The “man” character irritated me, too – he seemed to be pretty much the same character as the protagonist in J. M. Coetzee’s Disgrace, which I read last week. I.e. he is an academic who regularly sleeps with students, is exposed and becomes a better person for his dismissal. It’s definitely the same character arc, if not the same character. I found There But For The very funny (though I did read it in a more relaxed, carefree setting), but I didn’t laugh at much in The Accidental, and I didn’t cry either. You can’t overrate a good catharsis. So, to be honest, though I like Smith’s writing, I do, I felt the plotting here to be too thin, the characters too unlikeable (I don’t think they’re meant to be): there was nothing to grab me to the text. However, given the huge volume of praise plastered all over the cover, I appear have a pretty unique opinion. Still yet to read a truly great book in 2014. MUST TRY HARDER!! !